"I very much hope that this task will be accomplished in the near future," said the defence minister. The Cabinet of Ministers at a previous meetings approved the concept of creating ammunition production in Ukraine, Defence Minister Stepan Poltorak told a briefing on Thursday, 29 March. "If I'm not mistaken, a week ago the government adopted the concept of creating ammunition production plants. This task has been suggested by the National Security and Defense Council, and I very much hope that this task will be accomplished in the near future," the minister said and added that Ukraine will be purchasing ammunition "from partners" until ammo production takes off. Deputy CEO of Ukroboronprom defence concern Volodumyr Korobov said at the beginning of the year that the group is ready to deploy large-scale production of ammunition in the case of obtaining financing for 18 months. This plant will manufacture cartridges of both NATO and post-Soviet standards. The chairman of the Committee on National Security and Defense, on the contrary, has said that the Armed Forces of Ukraine will not be ordering ammunitions any time soon, so building an ammunition plant does not make sense . 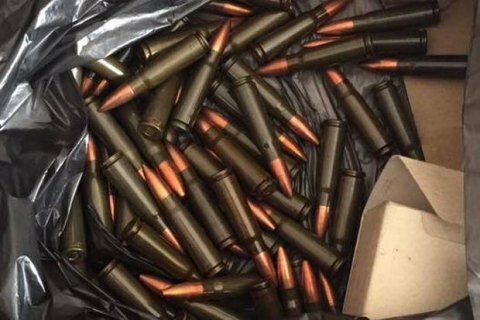 Earlier, Ukraine main supplier of ammunition for small arms was Luhansk Cartridge Factory which is located on a territory temporarily uncontrolled by Ukrainian government. In October 2015, Prime Minister Arseniy Yatsenyuk said that Ukraine was going to get a new production line for the production of ammunition.